A true RARE opportunity! 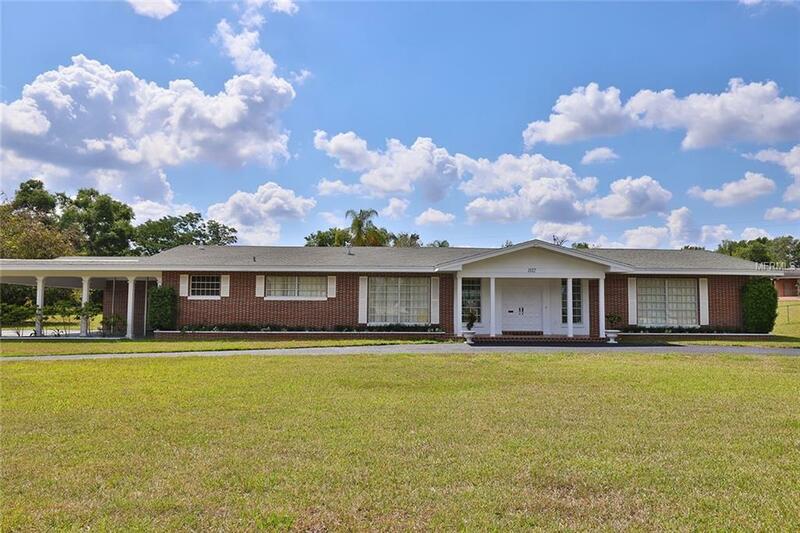 This home is located on Lakeshore Boulevard and boasts an amazing 3928 sf of living area AND over 1000 sf guest house/bath off the pool area, all situated on nearly 1.5 acres! The expansive formal living room greats you as you enter through the elegant double doors, with views beyond to the lanai and pool! Just off the living room are the 2 large guest bedrooms, each boasting a generous 22 x 17 size and walk in closets sized at 8'x 10'! Privacy abounds for the master suite, situated on the other side of the home, tucked away for a true retreat! This home is meant for entertaining, with the formal dining room and oversized kitchen complete with a family gathering area! Just off the kitchen is a great flex space for an office or home gym. The large laundry room features a half bath and walk in closet...storage is not in short supply here! This amazing pool home is anxiously awaiting a new owner to continue to love and appreciate all of its wonderful features!